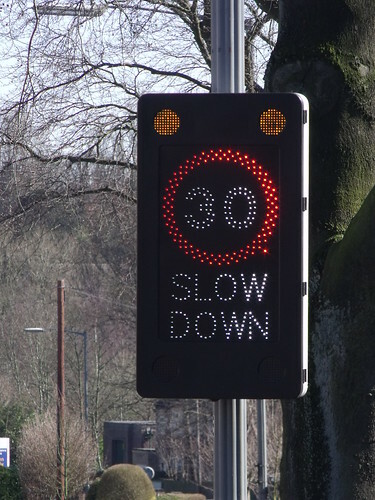 A Slow Down 30 sign on Swanshurst Lane in Moseley. Drivers obviously break the speed limit down here! After going to Swanshurst Park to take photos of Zippos Circus, I walked down Swanshurst Lane.